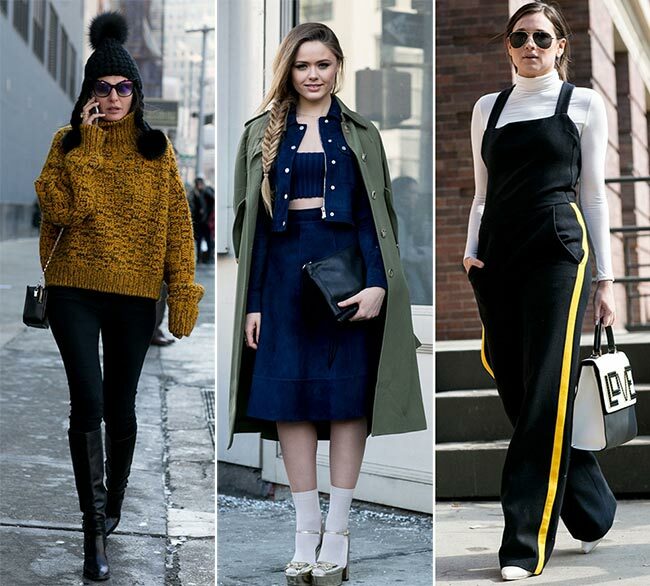 New York Fashion Week fall 2015 is a wrap and in addition to a cavalcade of gorgeous fashion trends and amazing fall outfit ideas, it also brought a series of wonderful street style looks that our favorite fashion bloggers, It girls and style icons rocked. What we especially love about the Fashion Week season is that it always brings some eccentric, bold and colorful street style looks, letting the guests experiment with new styles and discover the artistic side of their personalities. Street style during the Fashion Week is the irresistible pull to put on bold makeup and wear edgy leather and luxe fur, creating personality-filled outfits that will instantly land you in the spotlight. It lets fashionisers forget about the difference between ballet and evening attire and go creative mixing and matching various contrasting pieces and showing an interesting game of layering. 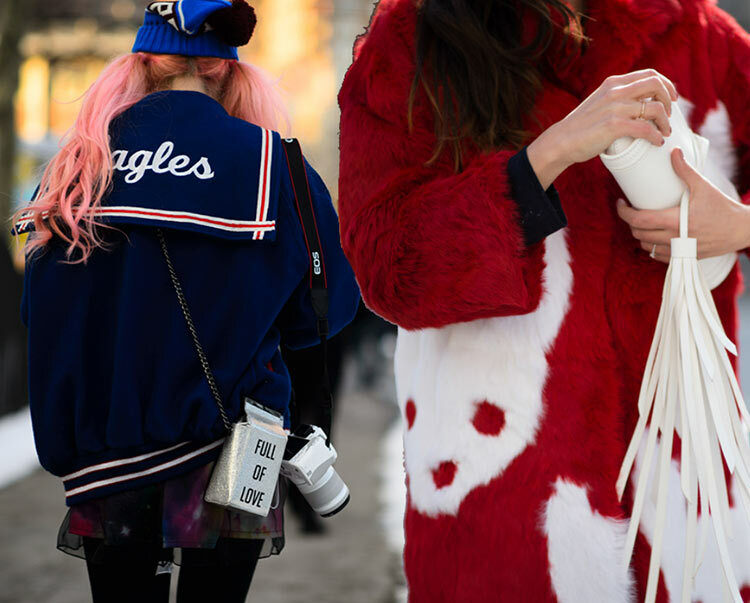 From winter-appropriate cozy knits and fluffy furs to flirty dresses and skirts, below we have rounded up the best and the coolest of New York Fashion Week fall 2015 street style for your inspiration. If it’s your first time that you’re going to attend a fashion show, you might have been googling for hours to learn what to wear for the fashion week to look as cool and creative as those celebs and models do before and after the shows in the streets. Nothing can teach you better style lessons to this end as real-life looks from the streets of the biggest fashion capitals in the world. The first and the most important rule is to be creative and bring your wildest style fantasies to life, embracing your true self and forgetting about any common style stereotypes. Have always shied away from the red lipstick? Go for it to add a dramatic touch to your casual look this way making it more eye-catching. A simple accessory, a detail and even the right hairstyle choice can change so much in your overall	looks, turning you into one of the trendsetters in	the street. On the other hand, even the simplest top knot and the barely there makeup can look undeniably chic, when you make an appearance dressed in creatively layered and styled outfits. These chic NYFW street style looks can be great examples for you when it comes to building up powerful looks appropriate for the Fashion Week season. The winter in New York has been one of the coldest in the history this year and it was a great chance to learn a couple of style lessons on how to look outstanding and stylish even in the coldest weather. Despite the snow and frost outside, many It girls still refused to wear tights or warm boots and embraced the new tendency of doing bare legs in winter, baring lots of flesh under those mini skirts and dresses. While someone wore her favorite heeled pumps with thick warm socks, there were lots of girls who went for summer-ready shoes completely shunning tights and socks. 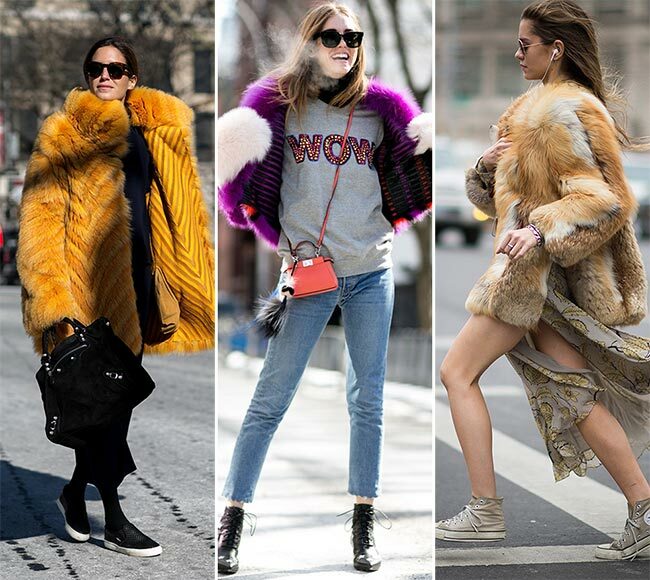 There were fashionistas bundled up in colorful and cozy furs and oversized coats, while some of them decided to show off their skill of making masculine dressing look ultimately feminine and effortlessly sophisticated. We saw sporty chic looks and pop culture inspired ones, as well as statement-making accessories that we crave so much. Even the simplest pair of jeans was styled creatively, like in case of Chiara’s look composed of a gray sweatshirt with the jewel encrusted work “Wow’ and psychedelic fur topping it, all finished off with the uber-big fluffy fur mittens and the tiny Fendi bag. Agree that the look did wow actually! Whatever they wore, they all looked fresh, happy and relaxed, inspiring us to revitalize our winter wardrobes with some daring and look-at-me clothes.